My life and journey to my next 100 mile race. 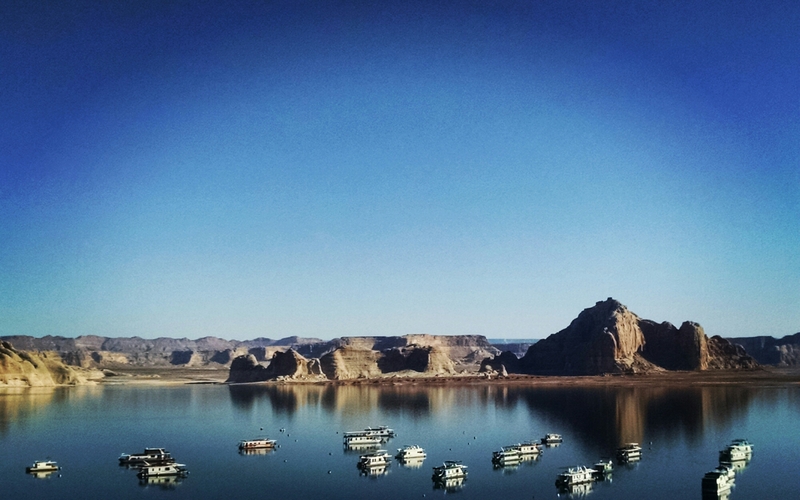 My friend, Norb, handed me Becoming Odyssa: Adventures on The Appalachian Trail by Jennifer Pharr Davis the night before we were running the Antelope Canyon 55K in Page, AZ. I immediately stretched out on my bed and opened it up. While reading the Introduction by Warren Doyle, a quote grabbed my attention. After letting it soak in, I read it aloud to Norb because I thought it was fitting to ultras and to what was to come the next morning. This sparked an insightful discussion and Norb made the comment that the quote not only pertained to ultras, but to life as well. This has been what I have been trying to acknowledge and welcome into my life. And as we flow with our experiences, it’s our attitude toward those moments that decide whether life has been positive and fulfilling or negative and frustrating. I knew that this race was going to be a mental test because of the amount of sand that we were going to run through. The kind of sand that’s deep, loose and that makes you feel like you are losing ground, not gaining, the effort you put in. It would be extremely easy to get lost and caught up in your goals if you didn’t go into this race with an open mind. That’s why I had no goals for this race. In addition, it was my first race of the year and first since getting over knee pain at the end of last year. All I wanted was the pure enjoyment of running and flowing with the course. It didn’t take more than a minute into the race that I could feel sand in one of my shoes. But I expected that and I didn’t want to worry on it so much that it would take away from the experience. 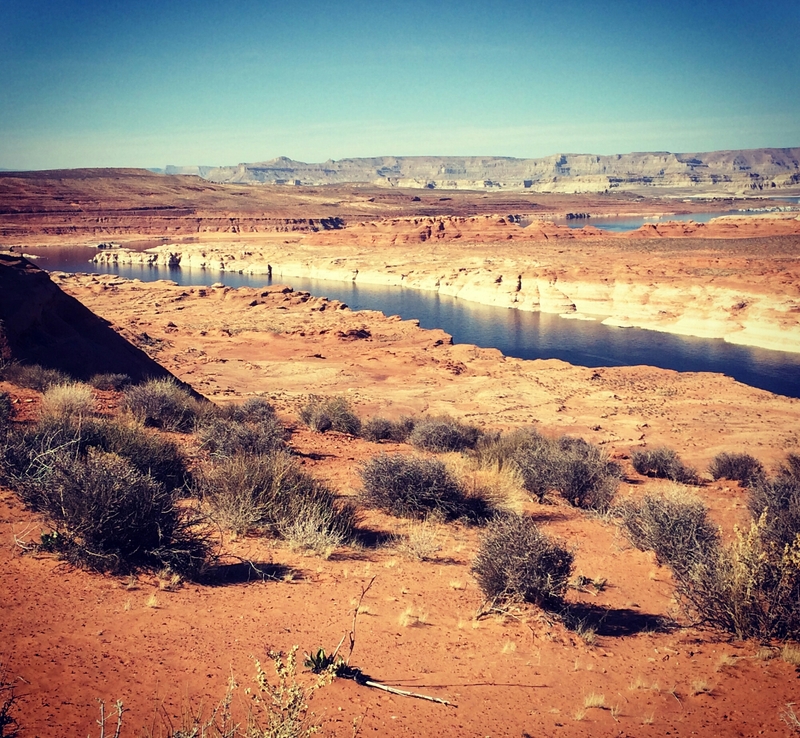 The course was a figure 8 design taking us around Horseshoe Bend, down into Waterholes Canyon and all the way around the Page Rim Trail that overlooks Lake Powell. For me, it seemed like everything happened beautifully. We reached Horseshoe Bend as the sun was rising, the slick rock burned red from the fresh rays and painted a reflection of vibrant orange on the Colorado River far below. I wanted to drink the moment longer, but a few glances at a time were all I could afford without risking a fall. From there, I found myself in rhythm with another runner as we wound our way along the cliff’s edge, trying our best to spot and follow the course flags. We arrived to the Waterholes aid station together, but left separately. 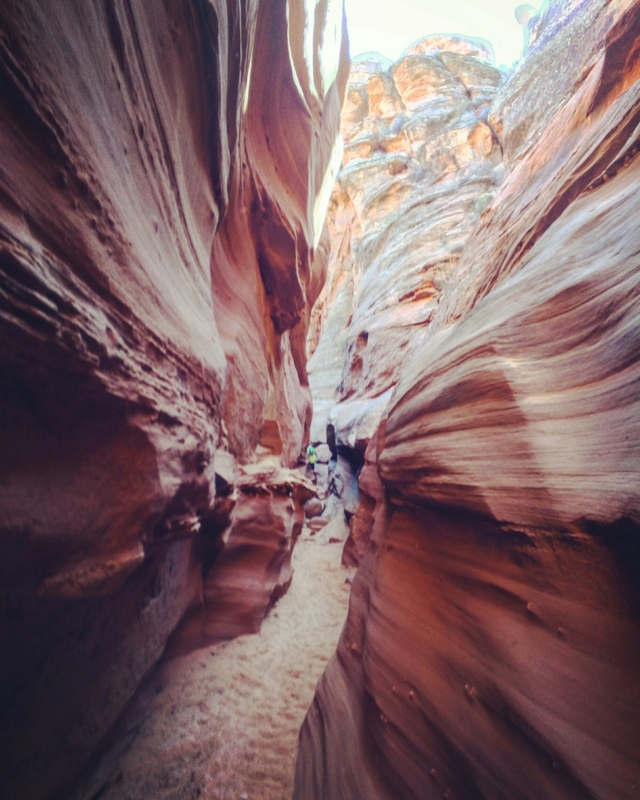 Dropping down into the Waterholes slot canyon I was all alone and in complete awe with the geological features. 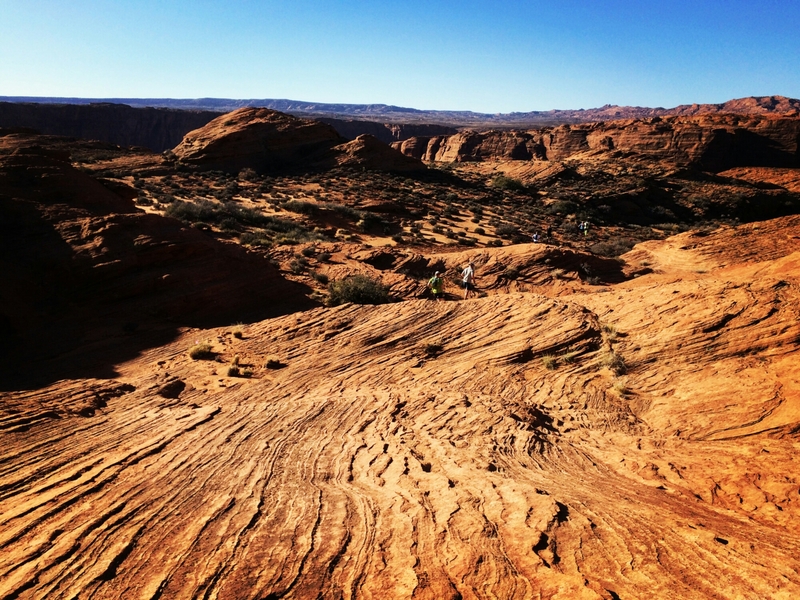 I ran with my finger tips gliding over the smooth and cool rocks to both of my sides. It felt unreal, yet tangible at the same time to sense the passage of time in one moment. Even though I was in a race with hundreds of people, being alone gave off the feeling of this being my very own adventure. Climbing out of the canyon the course featured a long desolate stretch with nothing but more sand under foot. I was aware of the build up of sand in my shoes but I didn’t want to stop to dump them just yet. I didn’t feel any issues yet but I knew I should do something soon. So I decided I would dump them after I finished the first loop of the figure 8. I heard the course was mostly dirt trail on the last loop. I figured it would be perfect and only necessary to have to clean out my shoes only once. At the mile 21 aid station, I took both shoes off and took both inserts out. I poured out the sand and slapped the inserts on my legs to get as much sand out as possible. I slipped the inserts back in and both shoes back on and was on my way…but I noticed no difference. I realized that the sand that was bothering me was in my socks. It was enough packed in, that it made it feel like I was running in shoes a few sizes too small. I did my best to push this away from my mind. Beginning the last loop I was joined by another runner and his presence was just what I needed. I knew around mile 26, that my feet were destroyed and that they were only going to get worse. Both of my big toes felt like they were on fire at that point. But sand aside, I was having an awesome time. We kept together the last 11 miles and were feeding off each others consistent and steady movement. This allowed for the last stretch to be easier than it should have been. Not that it was by any means easy at the end, it was a grind and a battle to keep convincing myself to keep running. On the last quarter of a mile, I felt that he deserved the better placing of the two of us. When he picked up his pace, I happily watched him cross the finish line from behind. I was 12th place in 5:37. After taking my shoes and socks off, I immediately went to the first aid tent. One big toe had a few normal sized blisters and the other had one that was caked with sand and covered the entire inside area and a little bit under the nail. Overall, this has been the most content with a race I have ever been. Other than a few parts climbing over rocks and one small steep sandy hill, I ran the whole thing. Which was all I asked from my body. Reflecting back on my race and the others that placed before me, I wondered why people race or run ultras. Each person will have their own reasoning. But thinking on myself, I’ve realized that I do these to go against myself. To see if I can overcome mental and physical obstacles. To see if I have grown and progressed. To see if I have learned from the past. To see if I can kill my old self and transform into my new self. Obviously I want to improve my times and placing the more I do these races. But comparing myself to others is not how I define my success and accomplishments. I only want to compare myself before the race and after the race. The in between, how I adapt to the elements and persevere during mental and physical low points, is how I measure my personal endeavors. And as I further to develop myself inwardly and outwardly through running, my hopes are that what I learn will spread to all other aspects of my life allowing me to flow with life, not fight it. 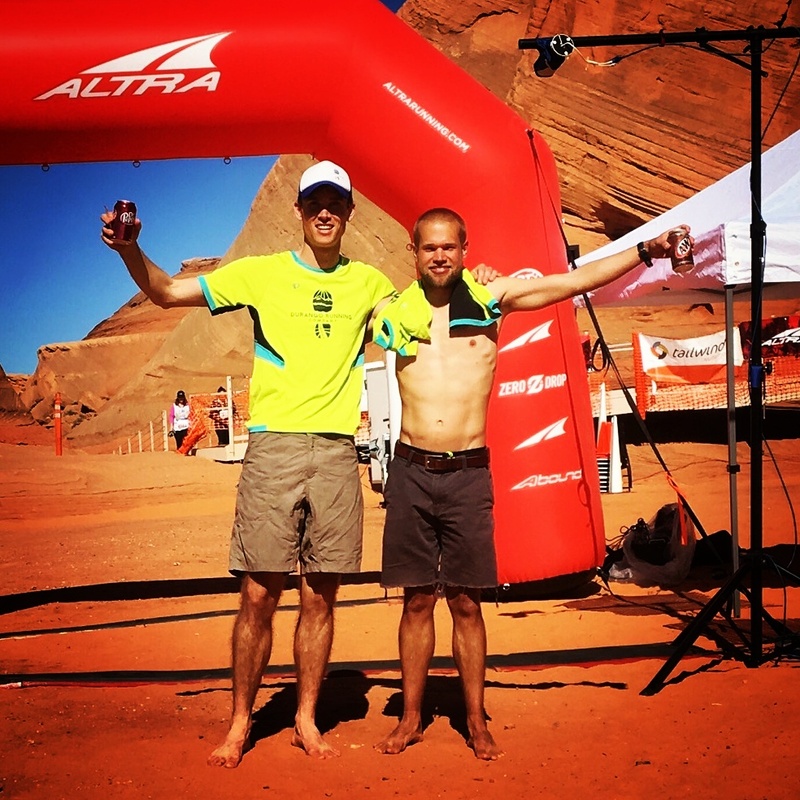 This entry was posted in exercise, Fitness, health, inspiration, life, marathon, passion, Photography, quotes, running, sports, travel and tagged 55k, antelope Canyon, Arizona, flow, life, page, race, Run, Running, ultramarathon on February 22, 2016 by Joey. Joey, just an awesome review and post. It is so wonderful to see you enjoying your running and putting all the values you learn from it to good use. Running, especially long distance ultra marathons, is obviously giving you valuable life lessons – not to mention quality fast times! I look forward to watching you progress as a ultra runner, writer, and philosopher. You have a special gift and you are making the most of it. Have fun doing it all!!! Thanks for the very kind words Norb! Your encouragement means the world to me! Thanks for the good luck card and for all of the awesome support this weekend! Great post. I think I need to come run in the US some time! The route through the cliffs looked amazing. Great quote, thanks for sharing! Thanks for reading! I think it would be worth the trip to the US. Then you could add a month to road trip around! 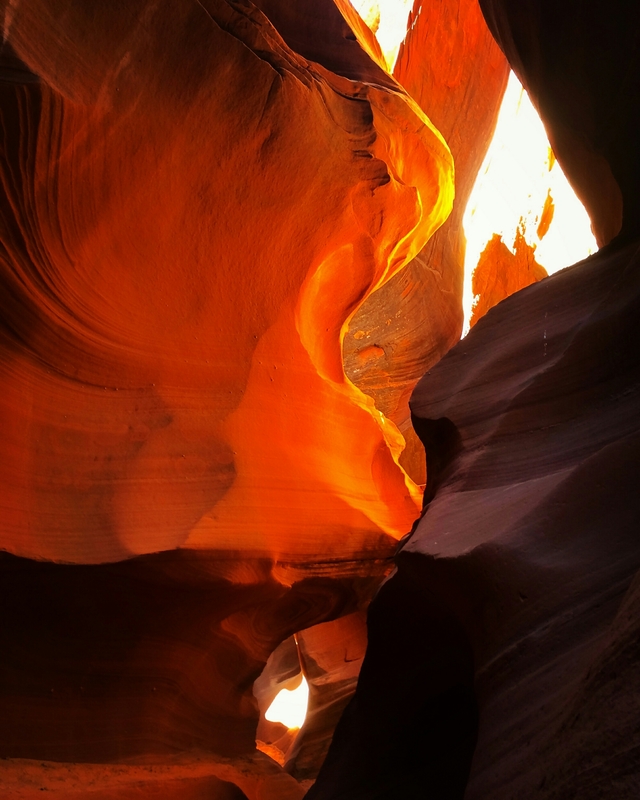 Awesome photos, especially the ones in the slot canyon. I may have to give this one a try! It was a very well run race too. Ultra Adventures seems like they have everything dialed in. 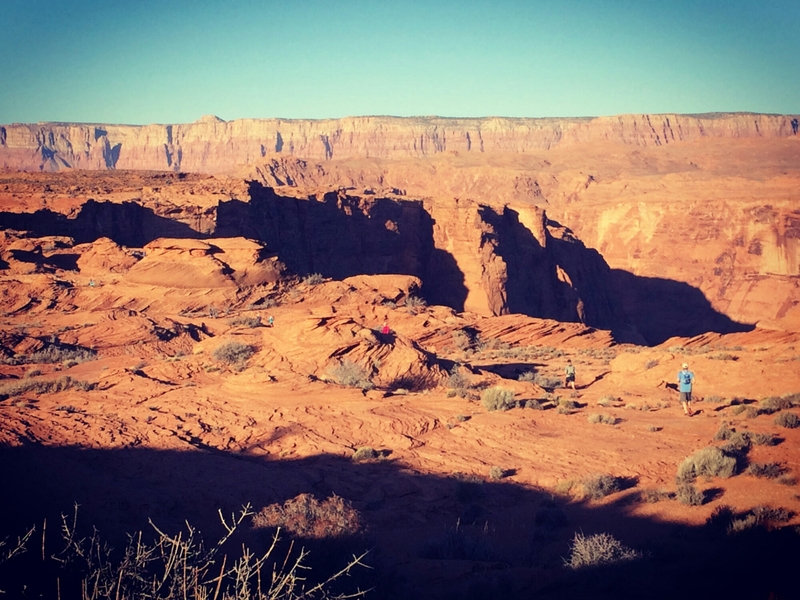 I was already signed up for their Bryce 100 and just the other day I decided to sign up for another one of their races, the Monument Valley 50k. Awesome photos, Joey. Make me want to be back on the canyon rim. Great article and photos, just what I need to remind myself why I run! Thanks man! Hope all is well in Buffalo! Thanks for the great photos and race report. 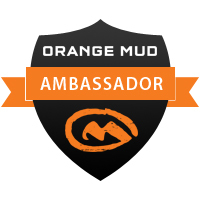 Quick question, as I am running this race next spring…..what shoes did you wear? Doesn’t appear that trail shoes are needed, but with all the sand, I was looking for recommendations. I wore a road shoe, the Brooks Launch. Too much of an open mesh and my feet got destroyed by the sand. I’d say something with a tighter knit on the upper material. I wouldn’t stress it too much. Maybe just plan to clean out your shoes and socks a few times during the race. Thanks, Joey. I’ll just wear my PureFlows then, and plan to clean them out along, as you suggested.